There are clear benefits for food & beverage manufacturers in rationalising their automation vendors. Using a single source of supply for automation components can play a big role in improving flexibility and reducing downtime but as Jeremy Shinton of Mitsubishi Electric explains, an automation system can be much more than just the sum of its parts. With supermarkets driving demand for more diverse products at lower prices, combined with increasingly stringent legislation – not only within the production environment but throughout the entire supply chain – food and drink manufacturers are facing increasing pressures on their business. The companies that typically grow and succeed are the ones who are quick to adapt and flexible enough to change. Increasingly, investment in automation is being recognised as a key to advancing operational reliability and product consistency, as well as improving efficiency and boosting profitability. In addition, when it comes to ease of integration, elimination of compatibility issues, consistency of programming and improved familiarity in operation, are all added benefits that can be derived from sourcing required automation components from a single vendor. The result is that the likes of PLCs, inverters, servo components, networking cards, HMIs, I/O modules and even smaller robots are more frequently purchased as a total solution. Using a single source of supply is only part of the story, because even a system of closely matched components can only take you so far. The real benefits come once you look at the possibilities not simply of matched components but of a complete automation platform. The concept of the automation platform is a system where the benefits go far beyond the footprint of the machine, process or production line, to provide the driver for plant-wide improvements in operational efficiency and agility. An automation platform can be pro-active, predict its own health and performance and inform operators about how to make improvements in efficiency, helping to coordinate manufacturing, processing and logistics - a major step towards being a smart factory. Using the cloud it can also extend data storage and processing to the virtual world, recording essential production trend information and delivering moment-by-moment condition monitoring and asset optimisation updates. 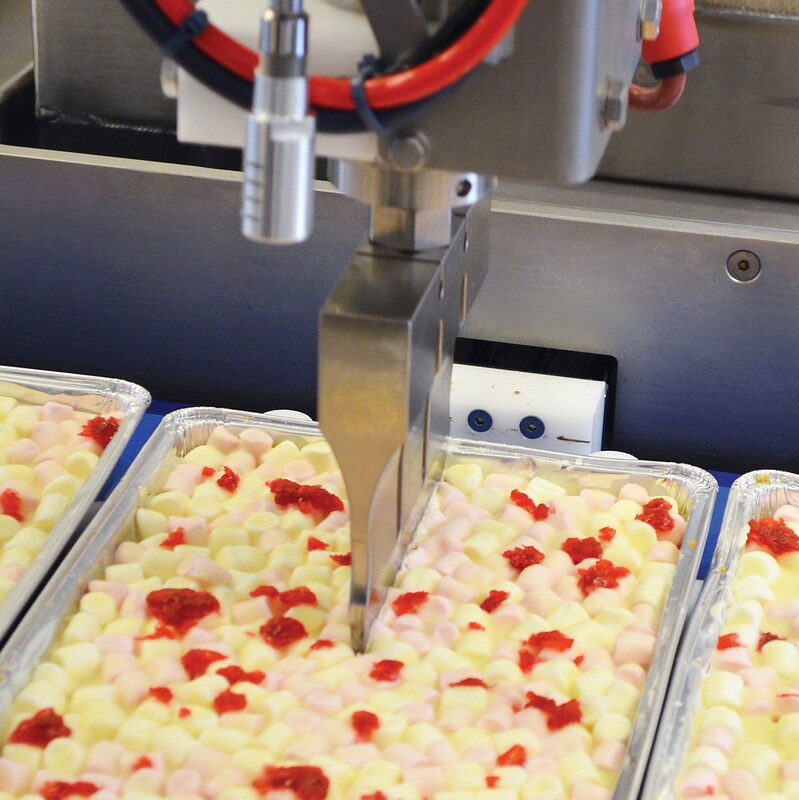 It enables food and drink manufacturers to take a holistic view of their operations, driving huge gains in productivity and all the while significantly reducing total cost of ownership (TCO). With the PLC at its heart, the true automation platform minimises TCO at all phases of the automation lifecycle by improving development times, enhancing productivity, reducing waste and making information more easily accessible throughout the plant. Manufacturers should look for an automation platform where PLCs and dedicated CPUs are consolidated on a single backplane with a single high-speed system bus. These various CPUs will be responsible for different aspects of automation control – including robot control, motion control, process control, etc. Other benefits of a consolidated single platform are the reduction of interconnecting networks and large data bandwidth capability. The platform should also extend to the operator interface, typically an HMI, or a mobile device, improving productivity through multiple advanced functions, while acting as a seamless interface to other controllers within the production line. At the same time, the platform can provide an interface to higher level systems, delivering IT information to and from the plant floor. This offers further opportunities to optimise processes, as well as offering improvements in traceability through direct connection with the enterprise. This can all be achieved with reduced system configuration costs, as communications can be established without having to worry about network hierarchies and boundaries. The advantages of an automation platform go beyond just optimisation of control processes. A further key benefit of a true automation platform is an integrated engineering environment, delivering further reductions in total cost of ownership. This single engineering environment provides tools for system design, programming, debugging and maintenance, ensuring consistency of the complete lifecycle of the system. We can see, then, that while choosing control components from a single supplier provides very real benefits, going a step further and adopting an automation platform can deliver so much more. It gives food and drink manufacturers the tools they need to take a holistic view of their operations and push the efficiency, productivity, speed of development and reliability of their production processes to new levels. If you would like to discuss your automation requirements, or are looking to rationalise your suppliers to gain from some of these benefits, call LC Automation on 01254 685900 and ask to speak to your local Field Sales Engineer. They can offer advice, discuss your requirements and look at ways in which LC Automation can support your business.